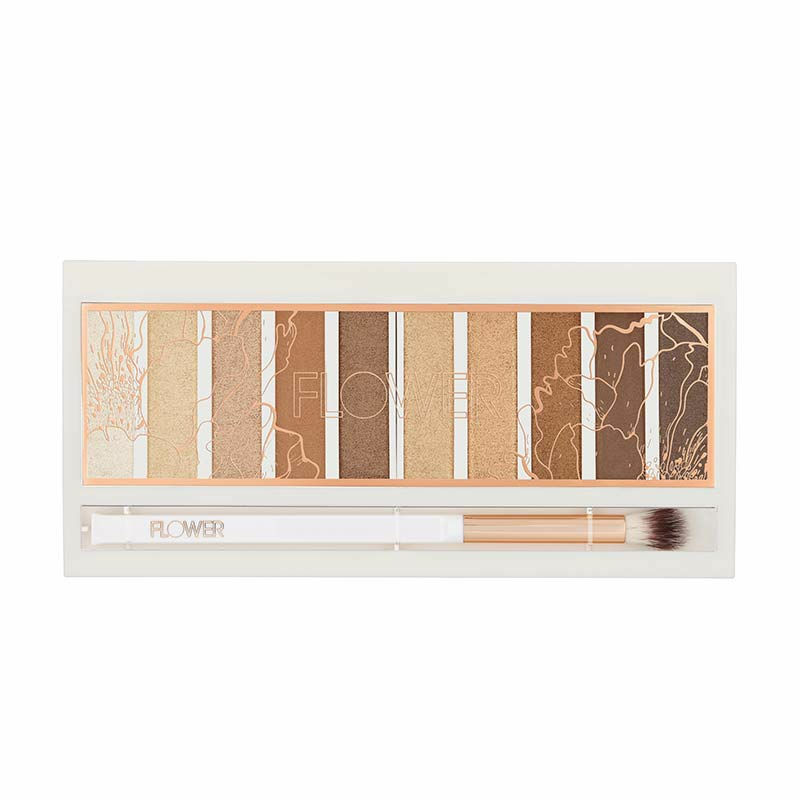 Flower Beauty's Shimmer & Shade Eyeshadow Palette features ten flattering shades. This creamy formula is triple pressed, removing any excess water, giving the powders a unique velvety, lightweight, and silky texture. The result is superb adherence to the eyes, silky blendability, and pure color intensity. Use with a wet brush for an even more intensified, dramatic effect or liner look. Explore the entire range of Eye Shadow available on Nykaa. Shop more Flower Beauty products here.You can browse through the complete world of Flower Beauty Eye Shadow .